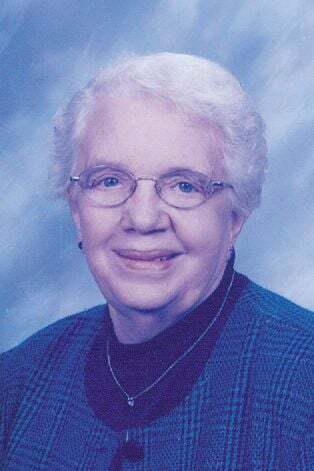 COUNCIL BLUFFS - Lois A. Wirth, 88, of Council Bluffs, Iowa, formerly of Durant, passed away Thursday, March 14, 2019, at Hillcrest Country Estates in Papillion, Neb. Lois was born in Cedar County, Iowa, on April 15, 1930, to Gilbert and Verna (Johannsen) Martens. Lois graduated from Durant High School in 1948. She worked at Jeff's Market, Pioneer and the Durant Community Schools. She was a member of Gloria Dei Lutheran Church in Durant and Royal Neighbors of America. She enjoyed bowling and spending time with her family. Lois married Vernon L. Wirth on February 5, 1949, in Davenport, Iowa. He preceded her in death on October 3, 1997. Funeral services will be held on March 23, 2019, at 11 a.m. at the Bentley Funeral Home in Durant, Iowa. Visitation will be one hour prior to the service. Interment will be in the Durant Cemetery. Lois is survived by her sons: David (Jill) Wirth of New York City, Kent (Deb) Wirth of Council Bluffs and Joe (Colleen Ryan) Wirth of Minneapolis, Minn., 4 grandchildren: Kyle, Eric, Ashley and Taylor and 4 great-grandchildren. She was preceded in death by her husband, her son Leon and her sister Dolores Martens. Memorial contributions may be made to Gloria Dei Lutheran Church in her memory.